The All Saints is a mirror by Kartell, which is especially striking because of its frame, since it is round and has a plissé effect. 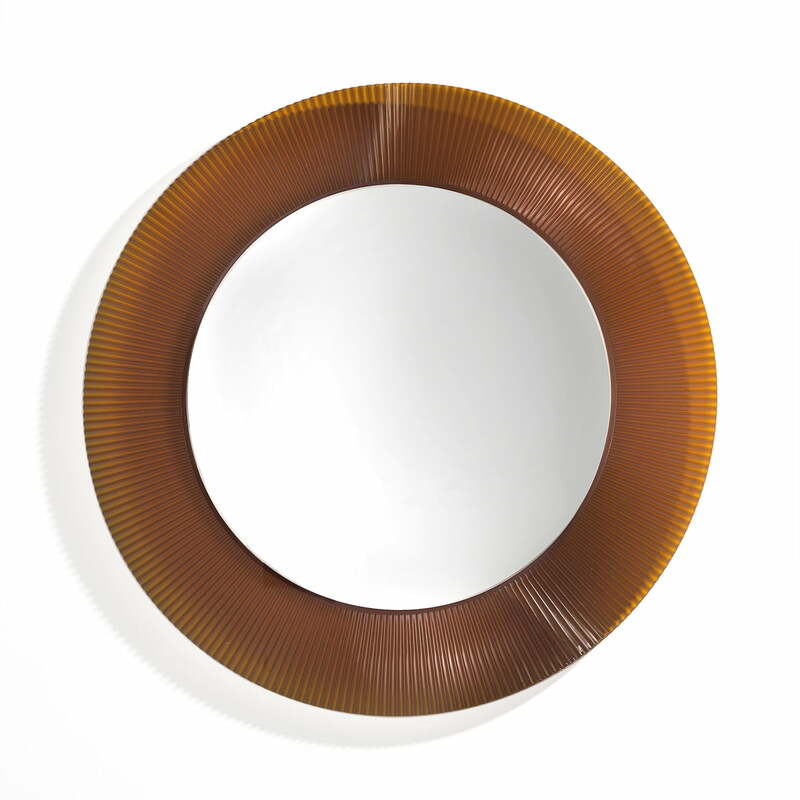 The Kartell All Saints mirror was designed by Ludovica and Roberto Palomba. The Italian designer’s pair created a piece of furniture, which allows versatile usage possibilities: The special design lets the All Saints fit in modern and factual environments as well as in eccentric, unconventional contexts. 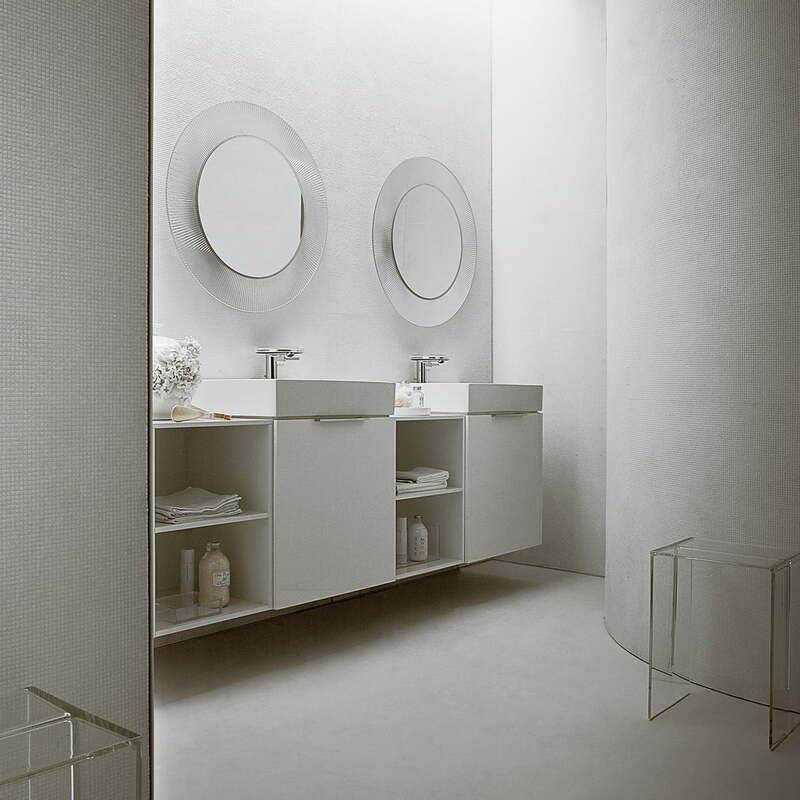 Kartell produces the All Saints in cooperation with the famous bathroom furnisher Laufen. The PMMA plastic material makes the mirror insensitive against humidity and also ideally usable in the bathroom. The bribing mirror is available in transparent colours (crystal clear, tangerine, amber), metallic tones (chrome metallic, gold metallic) as well as in a chrome plated gold edition (ducat gold 24K). The mirror is also available with light to be used in the bathroom. The additional mirror illumination is available for the classic models in transparent, tangerine and amber on demand.